At the 2013 European Wound Management Association (EWMA) symposium, Rob Humrickhouse of Metropolitan Chicago Health Council made the crucial point that we all share the duty to avoid unjustified risk or harm when defining and implementing pressure ulcer prevention programmes and safe patient movement initiatives. In his nursing career before developing Biotechsis “inbed” Care Management System, Phil Strong saw for himself how harm through human error is typically the outcome of the current systems design often containing present programmes and initiatives that allow nurses and carers to work around the system or make poor behavioural choices. 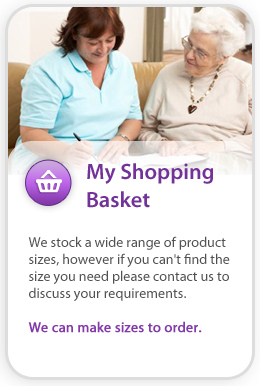 The intuitive design of Biotechsis “inbed”Care Management System also makes it easier for users to use consistently the same way each time with reduced variability and avoid unwanted “Subconscious and Behavioural Drift”. i.e. the insidious sometimes barely perceptible change in risk tolerance, that erodes away the established “norms” from recognised safe patient and care givers care and movement practices. The potential for this constantly altering “Drift” can lead us to believe we are practicing Safe care and “in a safe place”, when we are not. The Factors that can contribute to this “Subconscious and Behavioural Drift” can be wide and varied. One particular example could be the continued use by individuals and organisation of the ambiguous term “controversial patient handling technique”. Sending a hint/message to some that what was an unacceptable risk is now acceptable? Resulting in possibly the practice of start cutting corners to get the job done? – such as infection control, incontinence management, , anti-odour, anti-static and thermodynamic abilities for micro climate control (patient body heat and moisture). The result of this work was the Biotechsis “inbed” Care Management system range and the soon-to-be-launched Biotechsis iSlide. 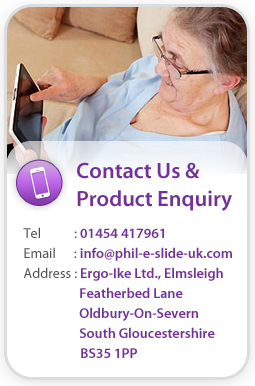 To discuss how Biotechsis “inbed” Care Management System range can help your organisation keep its patients and workers safe, email info@phil-e-slide-uk.com or call 01454 417961.